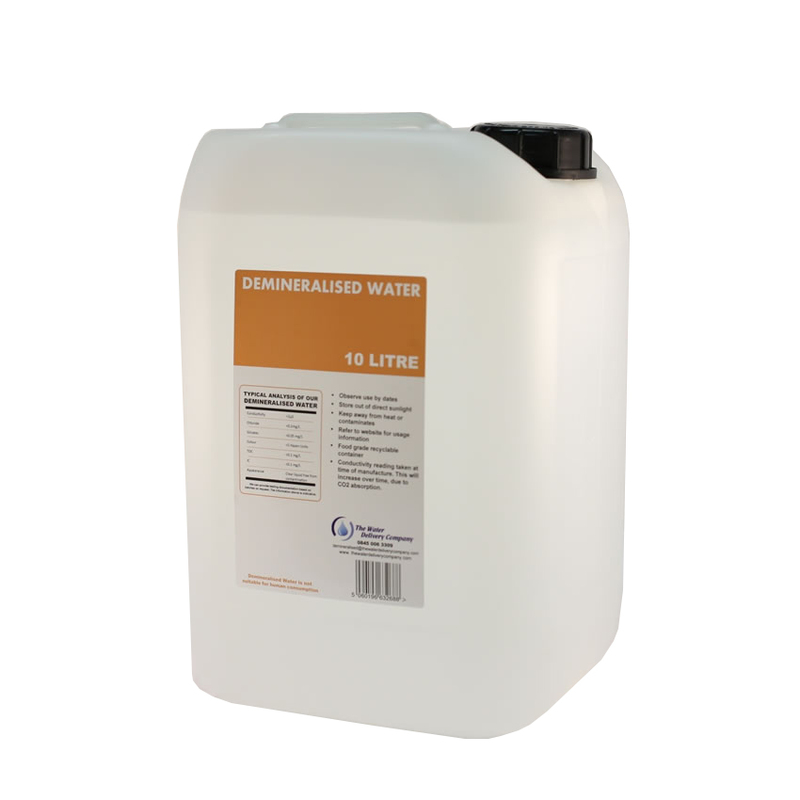 The Distilled Water Company sells directly to customers across the UK from our London warehouse based in SW19. 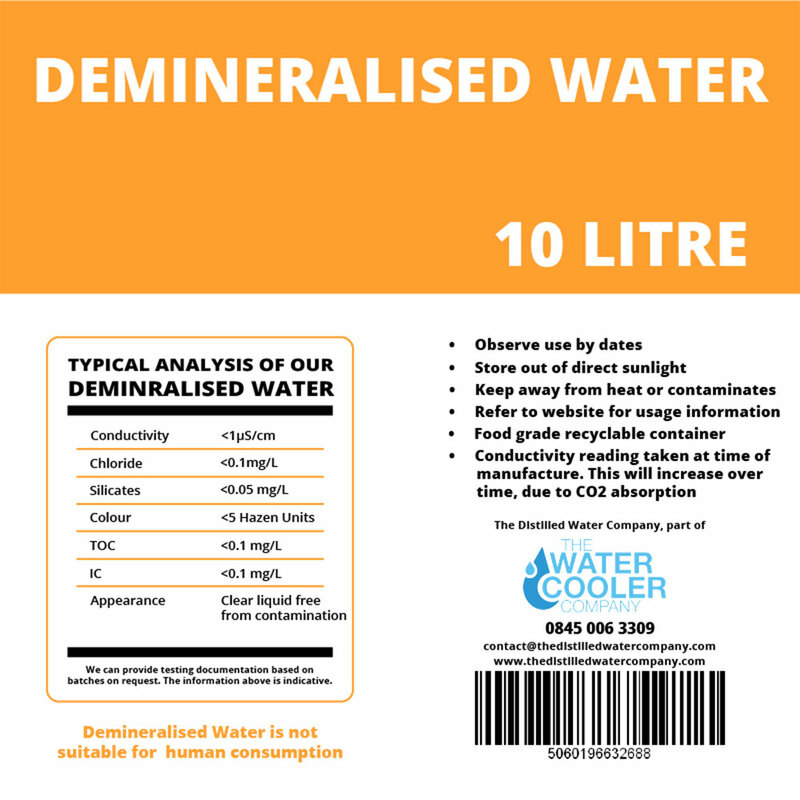 Our demineralised water is packaged in non-tainting plastic containers. 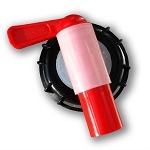 The plastic containers we use are food grade and the demineralised water is medical grade. 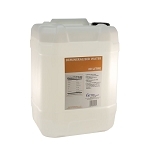 The food grade containers can be recycled by customers after the demineralised water is finished. 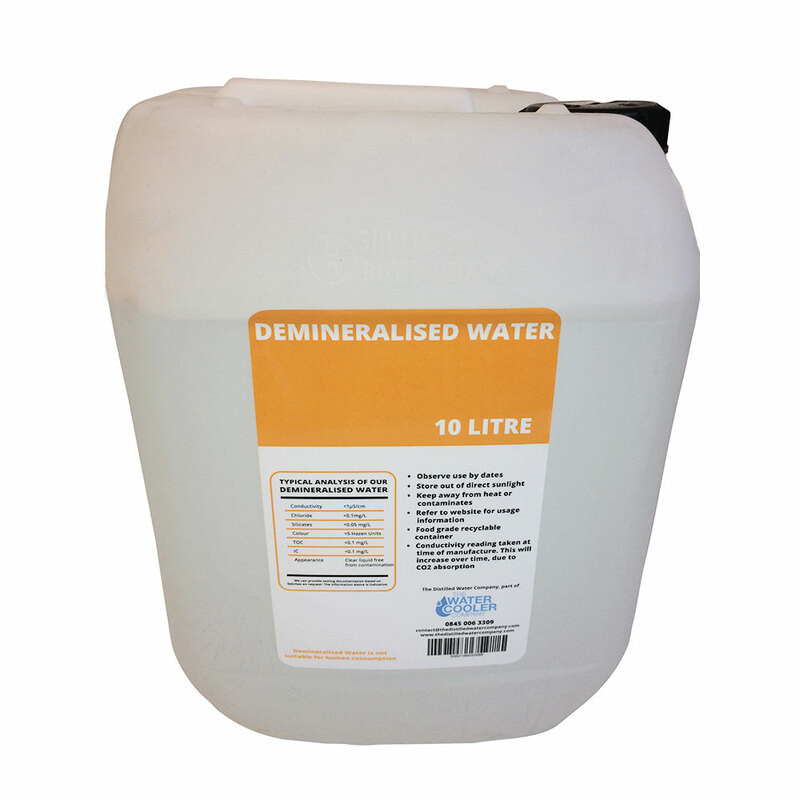 We do not recommend the use of demineralised water for human consumption. Shipping is included in the cost of your containers. If you order before 12pm we will aim to dispatch your order to arrive on a next working day service. Demineralised water can only be sent to mainland UK, any orders outside of this area will be rejected.